Before my eyes ever landed on yours, we had talked for hours on the phone. Remember the phones that actually had to be connected by a cord to the wall? The phones you couldn’t stray too far from so you ended up lying flat on your back on the hard floor because talking was more important than comfort? Remember staying up much too late talking about EVERYTHING and then jolting awake only to find the phone lying next to your head? Do you remember our first date? The date where you were afraid to hold my hand because you couldn’t believe I agreed to go on a date with you. Did you know I had butterflies in my stomach and I’d spent several hours trying to decide what to wear? Our first Valentine’s together was celebrated approximately 3 months after our first date. Do you remember the gigantic red construction paper card you laminated and hole-punched together, with big glued-on paper hearts with a poem on the inside that you wrote just for me? Do you remember the picnic basket I filled with yellow roses and a dozen glass bottles of Yoohoo? I hope you remember those days because those where the days we laid the foundation for our future. Do you remember how hard we fought in the beginning to make things work? We had so many fights about where we were going to eat; what I was going to wear; if I looked fat; whether you really loved me… you see, I had doubts. Lots of them. In the beginning you had to learn that I couldn’t take compliments and that if you said I was pretty I would just sidestep your words. You learned to pick out my flaws and turn them into jokes and we would both laugh and I felt comfortable knowing you weren’t afraid to notice my flaws. I began to associate negative honesty with love and that felt right – I could accept that kind of love – for a little while. In our early years I hated myself, who I was and how I looked and you stayed as I railed against myself. Do you remember the time I came unglued and threw my keys at you? Do you remember it was because I couldn’t find anything to fit over my widening rear-end? I was sure that when I fell into the pile of clothes I had thrown in the floor and proceeded to throw a tantrum (that any 3 year old would have been proud of) until I cried myself to sleep, that I would wake up and find you gone. But you stayed. You stayed and we got married and we learned what worked between us and what didn’t. We created each other and if we are monsters sometimes we only have each other to blame. You never really say I have beautiful eyes and that’s because you knew it hurt me to hear, but I’ve changed over the years and I think I need to know you believe I have beautiful eyes. 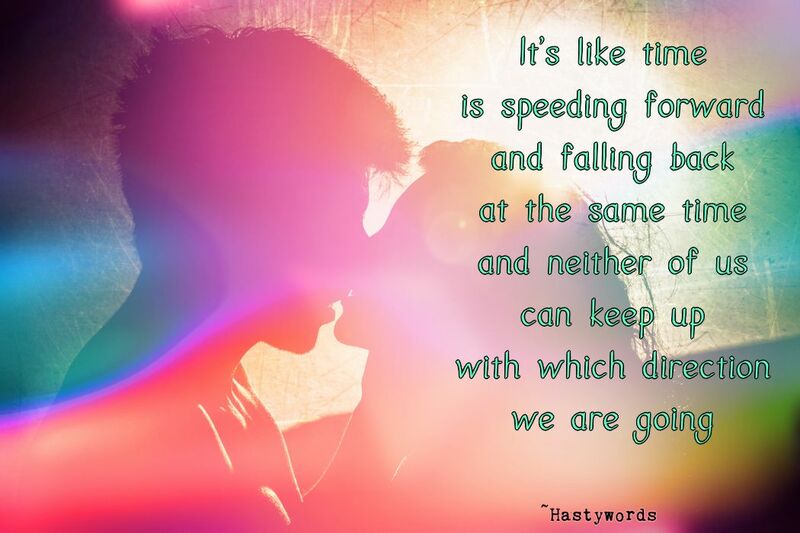 We have both changed – it’s like time is speeding up and back all at the same time and neither of us can keep up with which direction we are going. Through the years we have hurt each other deeply only to end up caring about each other even more. I think sometimes we forget we are not static people with static emotions. The things we once believed may have changed and the things we used to love, we no longer love. We have fallen deeper in, and out of, love all at the same time. This Valentine’s Day I will be celebrating my best friend’s birthday out of state. You were never big on Valentine’s Day so when you gave me permission to go you didn’t realize it hurt my heart a little bit. Yesterday, you told me it made you sad too and I realized I will never spend another Valentine’s Day apart from you. This Valentine’s Day I would like you to be mine – whoever you are today – be mine for always. Thank you 🙂 It was a good discussion piece for us. Ahhhhh I just LOVED this! Hasty, he’s quite the lucky man. Beautiful post. Happy Valentine’s day. 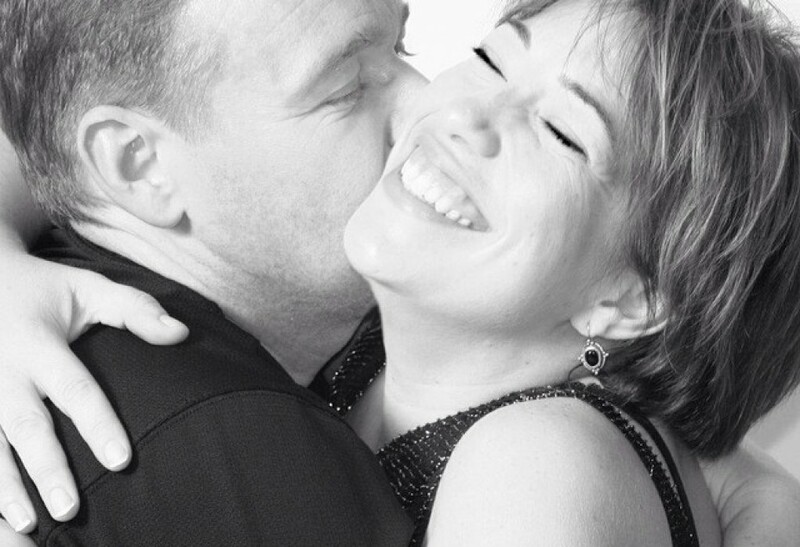 Oh this is just beautiful in every way… I adore your heart, and I can safely assume that your hubs does too. Sunset, reading this made me feel wistful and wishful and I really REALLY hope that HastyMan appreciates it as a snapshot into your heart, as much as a beautiful piece of writing. I love that you did it. And you’ve inspired me, too. I’ve decided that I’m going to write to Husby more. Not ‘out loud’, but just between us. Because this is such a gorgeous idea. I suppose I have written hastyman a bunch over the years. A trunk of letters that over time all say the same thing in the end. I choose him. LOL hastyman is cool. His real middle name actually is Hasty. I think loving someone in spite of and because of our flaws is what makes love both really hard and glues us together even tighter. At least that is what I am hoping. I have tears in my eyes at a restaurant. Being married only 2.5 years sometimes feels so quick and yet forever, and yet I can already wistfully remember those first days you talked about, where talking was more important than comfort. And yes, I’m glad that when you hurt each other, it brings you closer. That’s how we are too, and it makes me feel like that’s not so weird. Awwww time flies by and also moves so slow. I knew I wanted to write something but when it comes to love it is harder for me for some strange reason. Just beautiful. Way better than some card bought at a Dollarama or pharmacy! I so hope your hubby read it. This is my first Valentine without my husband as he passed away in December. It was a bittersweet day and I spent it with close friends… Almost everything you wrote could be applied to us and it brought me a smile.